In the winter, my bathroom is where I go to enjoy a long hot bath after being out in the cold. 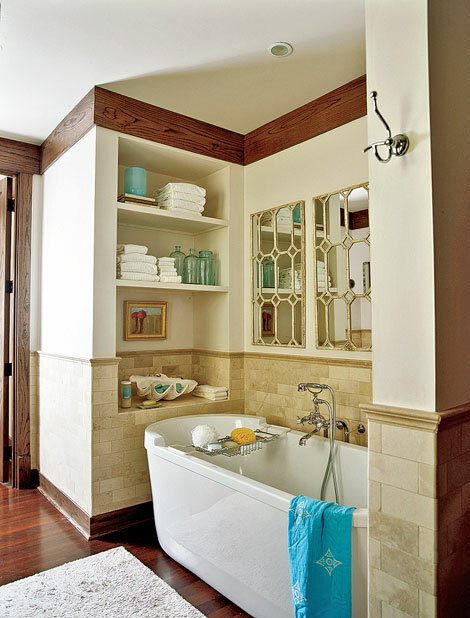 In the summer, the bathroom is where I go for a cool, refreshing shower after a hot sticky day. 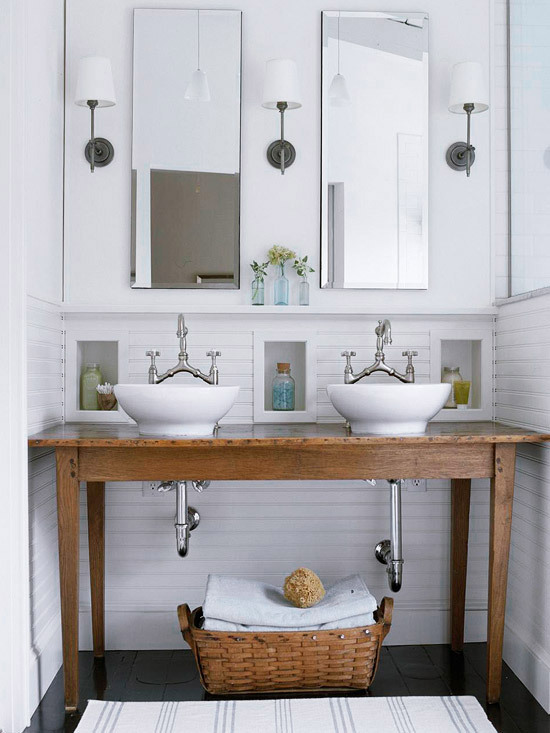 To create a cool retreat, it helps to keep your summer bathroom as clutter free as possible. 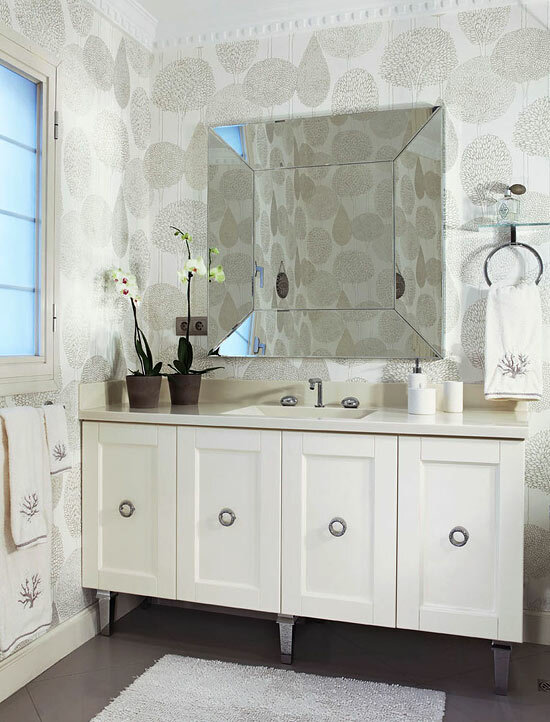 Keep reflective surfaces clean, as well as and lighting fixtures (Make sure they all have working bulbs, as well). Since there are more hours of daylight in the summer, it is especially important to keep lighting bright and as close to outdoor light as possible. 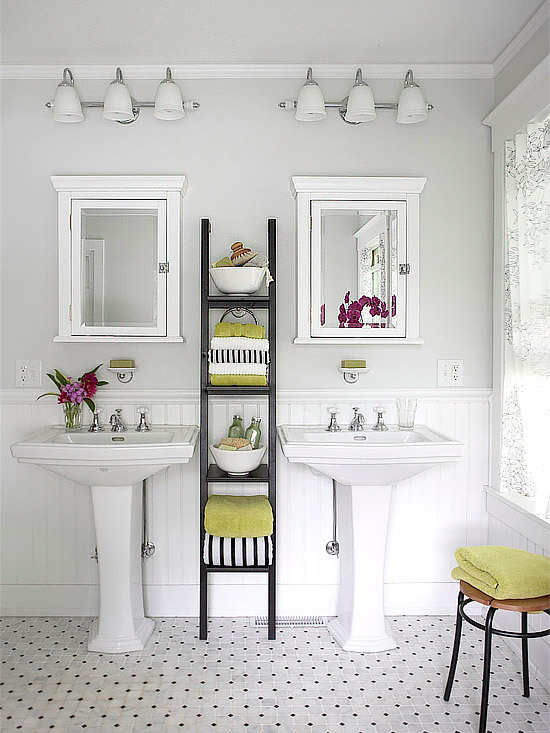 Keep colors bright and cheery, or choose simple, crisp whites. 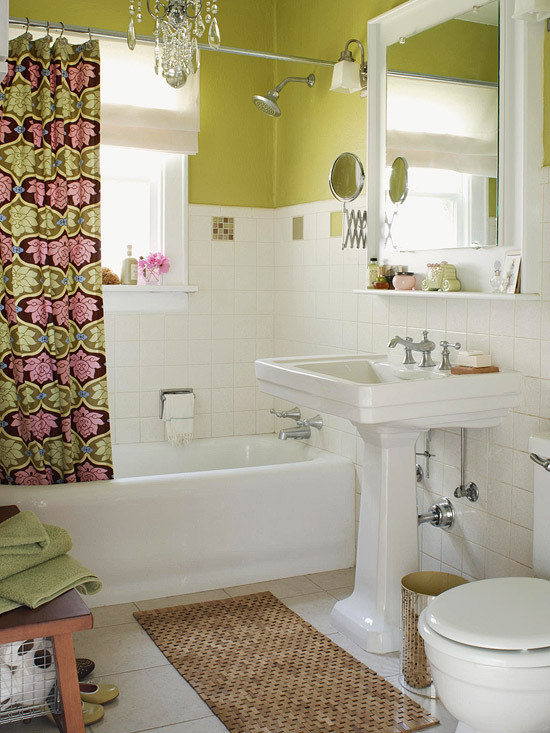 Update anything scented in your bathroom from spicy or musky to light scents, either floral or clean. Heat activates scent, so you don't want to overdo it. A beautiful French Country-chic giveaway! Giveaway! Enter to win a $75 Gift Code to snag some fabulous indoor/outdoor throw pillows! All Rights Reserved House And Home.